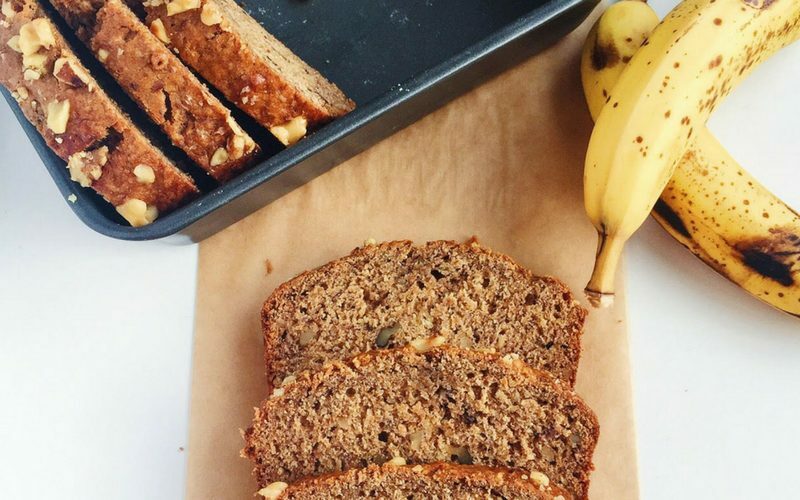 Banana bread gets a healthy face-lift while still tasting amazingly delicious. 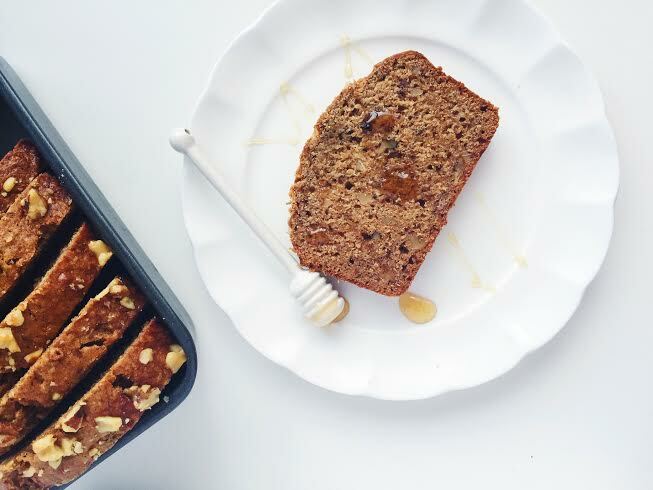 Perfect for weekend brunch or a special treat, this flax banana bread features coconut oil, walnuts, fiber-full flax, and honey. Banana bread is his weakness. All things banana, really. My best friend dubbed the nickname “Banana Bear” for him long before I even met him. His birthday cake is almost always some form of banana-something. Sometimes it’s brown butter banana cake with rich chocolate ganache, sometimes it’s mini banana cream pies, sometimes it’s banana and peanut butter something-or-other. So, yes, banana bread was destined to be my fate tonight and I knew it. It’s his birthday month so I can’t really say no to him. Okay, so here’s the thing about banana bread. People think it’s pretty healthy, cause, hello, it has fruit. But it also has a ton of sugar. A ton of butter. Probably oil. Lots of white flour. So I wanted to make my banana bread healthier. But I also didn’t want Ryan to know that I did that. 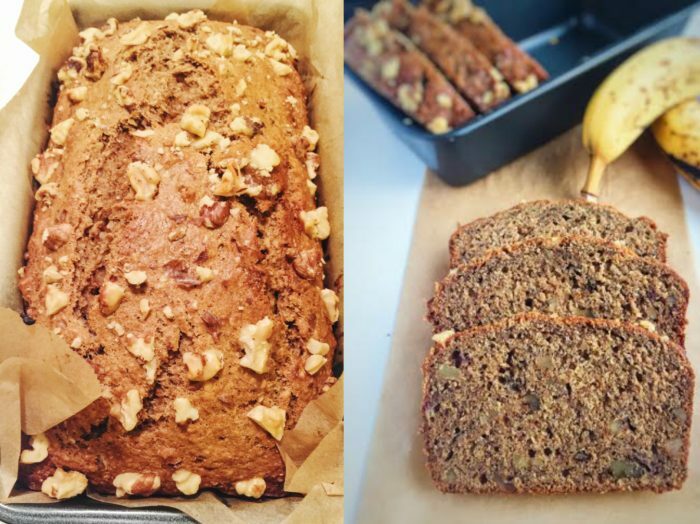 I wanted to make a healthier flax banana bread that tasted as similar to his sacred, holy, don’t-mess-with-the-recipe ‘nana bread. Soooo, how was I going to do this? I poured myself a glass of an amazing Syrah Rosé and got the wheels turning. I knew I wanted to nix butter and sub in coconut oil. I knew I was going to put a little bit of brown sugar in the batter for texture, but the rest would be honey. And I knew that nutty whole wheat flour was going to get cozy in there, and maybe some flax seed for a fiber-packed punch. Oh, and walnuts, too. Cause I like my ‘nana bread with nuts. But if you don’t, fine. I won’t hold it against you. Just omit them. So this recipe is what I came up with and I must say… it’s pretty darn good. 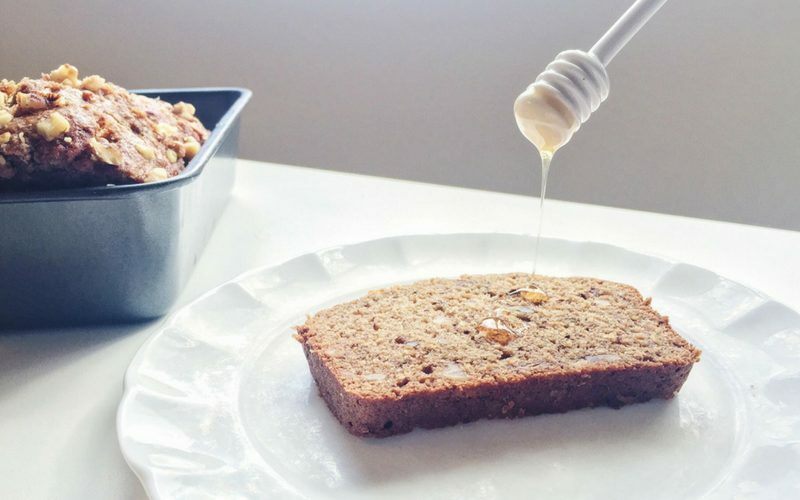 Drizzled with some honey and warm from the oven, it’s even better than regular banana bread. Even Ryan loved it. A lot. Like, 3 slices a lot. It’s also dairy-free. And please… don’t be afraid of the flax. 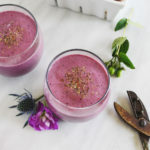 The flax is your friend. 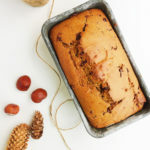 But do enjoy this flax banana bread! 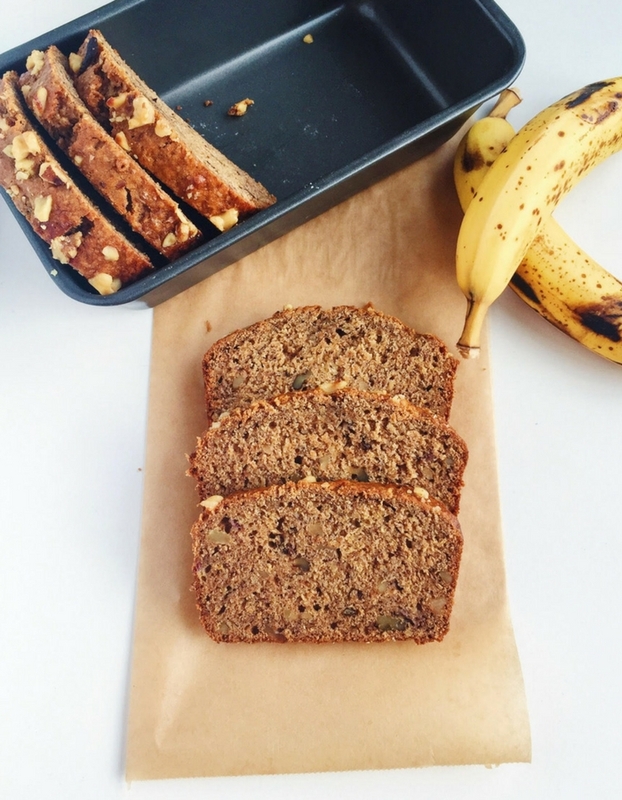 Banana bread gets a healthy face-lift while still tasting amazingly delicious. 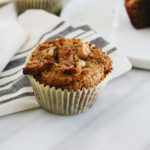 Perfect for weekend brunch or a special treat, this banana bread features coconut oil, walnuts, fiber-full flax, and honey. Chop lightly toasted walnuts and set aside. 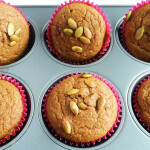 Combine flours, flaxseed meal, baking soda, salt, and spices. Set aside. Combine melted coconut oil, brown sugar, and honey in a large bowl or stand mixer. Whisk or beat to combine. Add in mashed bananas and combine well, scraping the bottom of the bowl to ensure that the honey is mixed well and not sticking. Add the dry mixture, alternating with the almond milk, in 3 additions. Mix until just combined, scraping the bottom of the bowl. 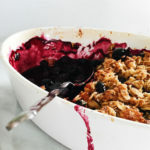 Pour your batter into your prepared loaf pan and sprinkle the top with additional chopped walnuts. Bake until the top is brown, firm, and a toothpick inserted in the center comes out clean, about 60 minutes. This looks amazing. Thank you so much for sharing this recipe! Two substitution questions: Is it possible to directly sub 1 3/4 cups of white whole wheat flour in place of the 1 cup whole wheat & 3/4 cup white flour combo? And is it OK to use regular milk in place of the almond milk? Can i substitute coconut oil with olive oil? Yes, any oil will work! SO fantastic. I subbed flour and this turned out PERFECT! 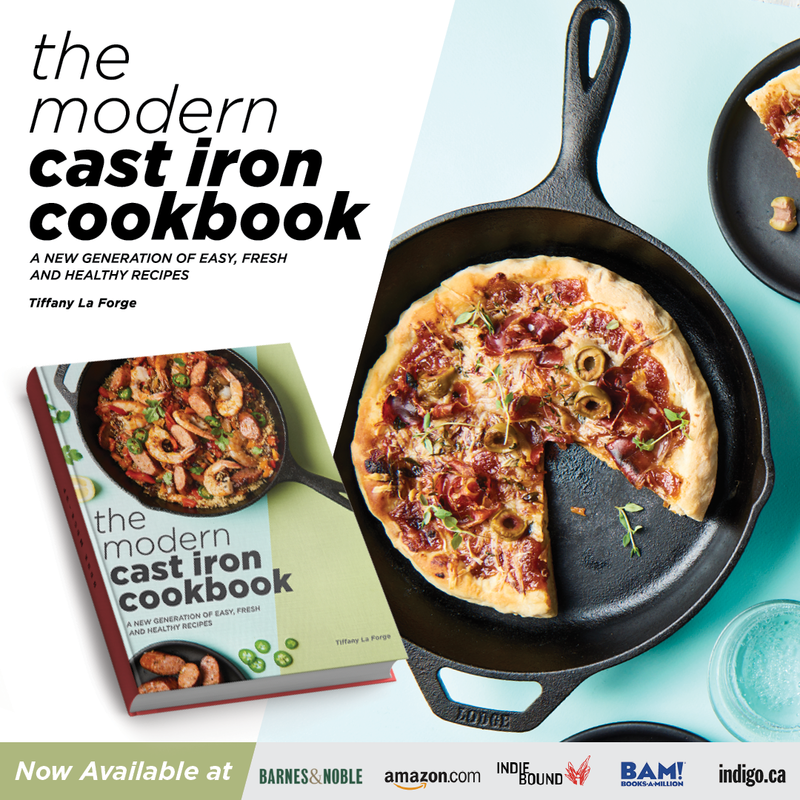 Really excited about this recipe, thank you! 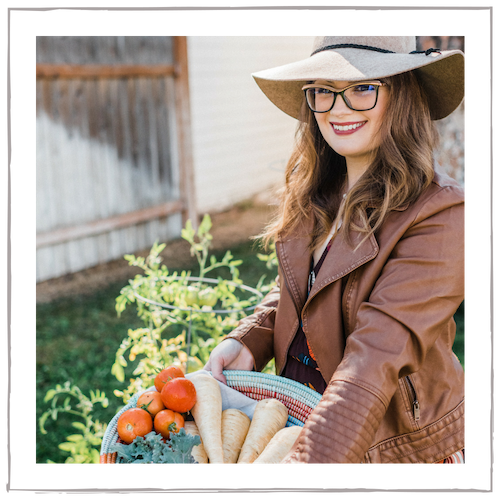 I made this recipe yesterday and it made my house smell so good that I could barely wait for it to be done and cool off enough to taste! 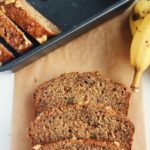 Everyone that has tried it keeps saying it is the most delicious banana bread recipe they have ever tasted! Definitely saving this! Thank you! Thank you, Amanda! So glad you enjoyed it. I’m a big fan of it, too. I love getting extra fiber & healthy fats in when I can! Thank you for making it! I. Love. Bananas. This looks so amazing to me and the photos make it even easier to drool. I just want to make this loaf and use it as my only source of bread!